Could it be more appropriate that the Barryville (New York) farmers market gave us a fantastic assortment of summer berries? 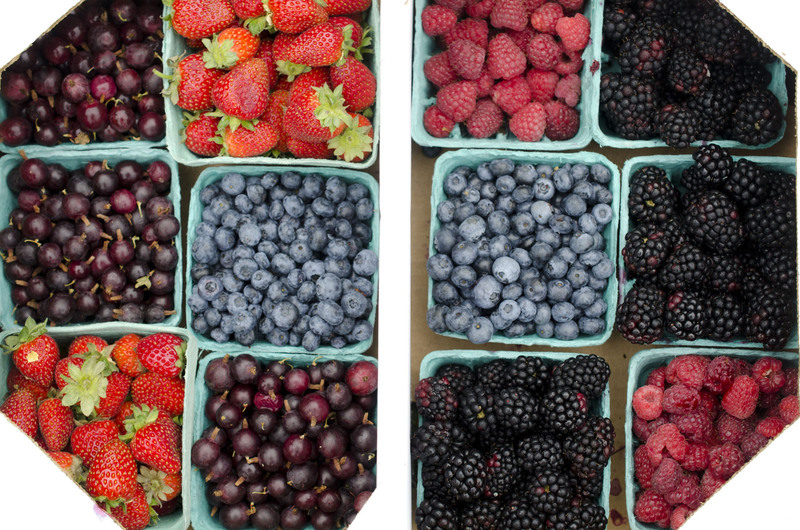 We bought blackberries as big as your thumb, strawberries, blueberries, raspberries, and gooseberries. The latter have been reserved to be turned into a gooseberry fool while all of the others have just been gobbled up straight from their boxes. So sweet and luscious, no sugar needed.